With a reading chair in the bedroom, you'd surely have a great time relaxing with your books. 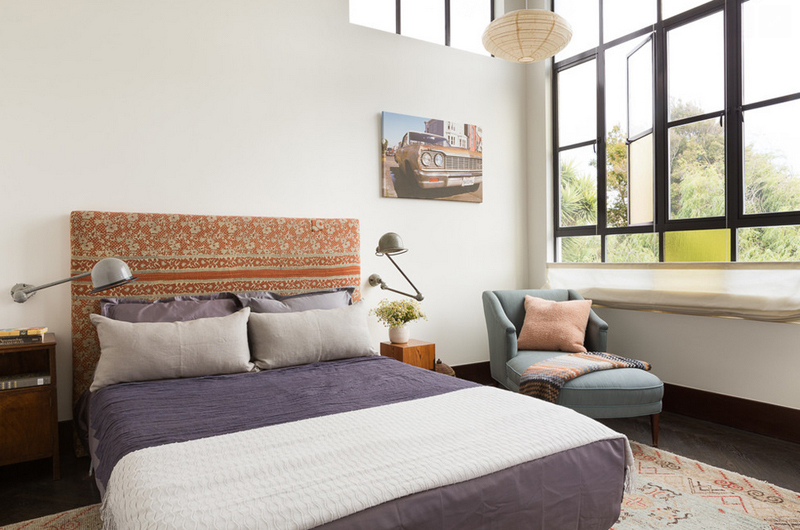 If you are into reading inside your bedroom, either in your bed, on the floor or if you prefer one large bean bag or an oversized chair, this one list that you should check out because we have a couple of bedroom designs that vary in archetype. You might find something in here that is similar or ideal for your available space. 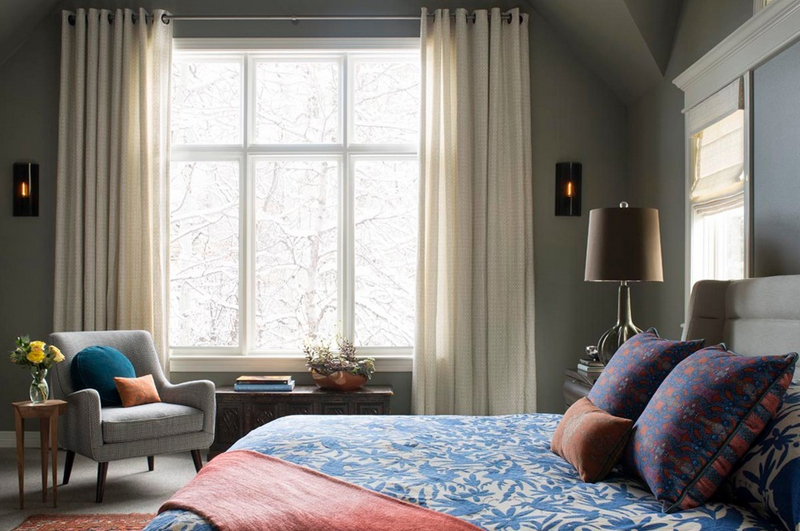 The next pictures that you will be seeing in this list of 20 Bedrooms with an Oversized Reading Chair are quite interesting because some of the chairs in here are so easy to find and if you have the right equipment, you can even recreate them in your bedroom. The pictures below comes in different color motifs too, so I think you’d like them. I am not sure if the big reading chair is actually facing a table or some other chairs or ottomans, but one thing’s for sure – it sure is oversized. The color of the chair somehow complements with the flooring and sure makes the plain wall look better. 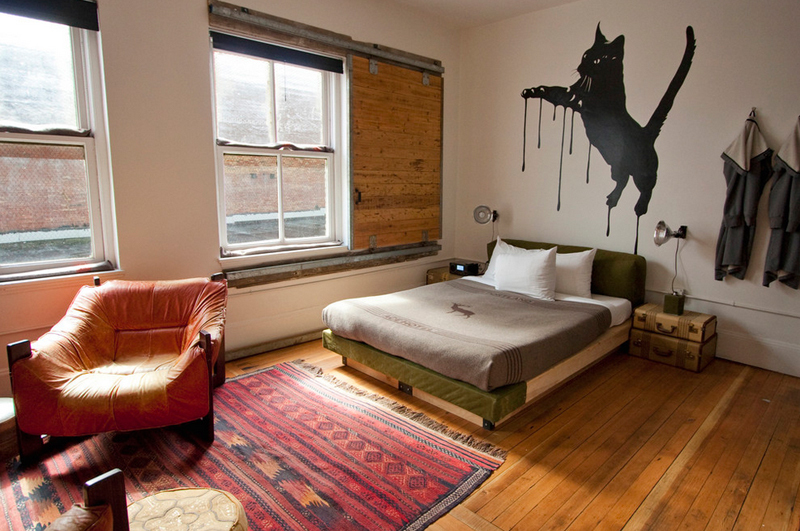 I like the sticker of the cat on the wall though, what do you think? Well, won’t you look at that! 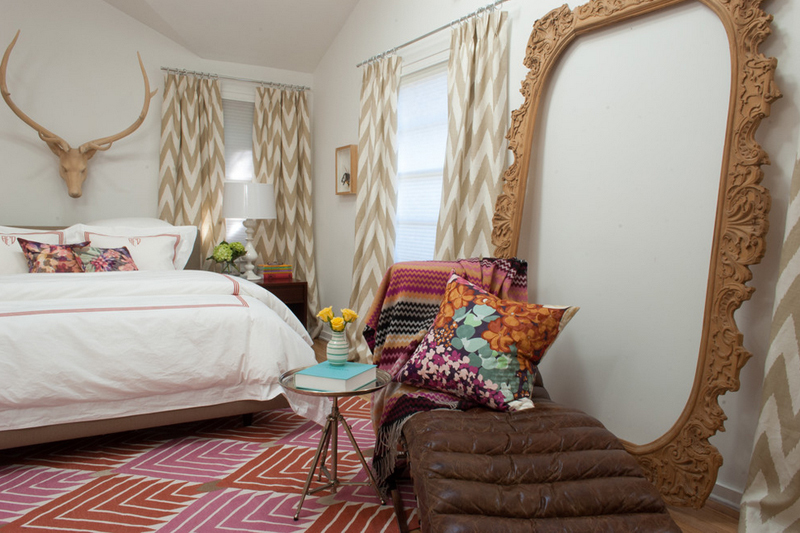 This bedroom is one dream come true for anyone who loves to mix and match things for their homes. I know there are people who loves to update and re-use things they’ve had before with the ones they just purchased to create a more funky space to live in! The armchair by the window looks really pretty, don’t you agree? The color is neutral, but it helps the fabric on the bed pop! The added pillows on the armchair sure is sweet. This is one heck of a bedroom – the idea of maybe having kids around is cool and encouraging them to read and stay in their lovely bedroom is one hard task, but if I were the kid asked to stay indoors and indulge in this bedroom, I’ll gladly comply. The chair in this bedroom may look smaller than everything inside this bedroom but it sure shouts its existence! The printed yellow chair is one cute addition to a bedroom with a block color theme! Now we are talking of one large bed with huge linens and I’d sure want to sleep in this one because it looks really comfortable and pretty. The additional oversized chair in this setting is neat and ideal for a parent to sit in and read a bedtime story to me! I mean, their kid! 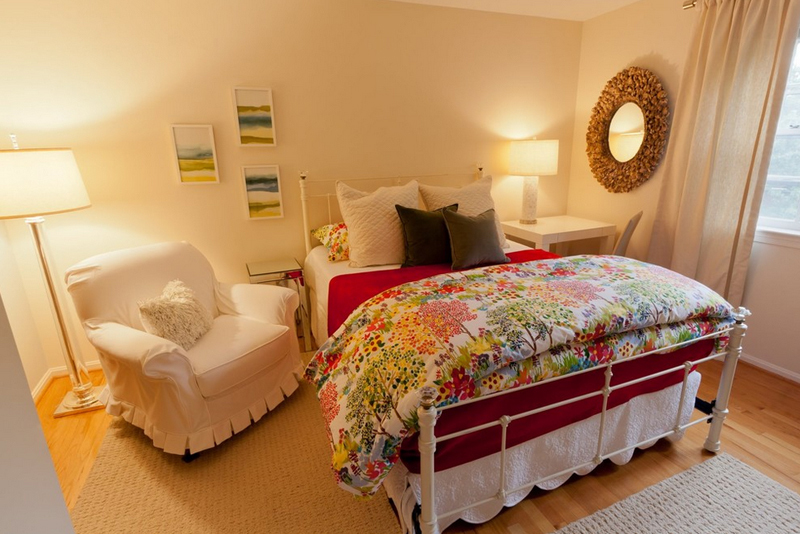 One large comfortable seat for one wonderful bedroom and look at the stunning chest just at the foot of the bed! It somehow looks Moroccan or something and it’s really fascinating, just like the lamp by the window. Don’t you just adore unique pendant lights or chandeliers? For example, the one on this bedroom – the chandelier’s color contrasts with the dark colored ceiling and it sure works really well. Take a look at the lovely blue chair on the side, do you like it? Reading nooks do not usually have wooden chairs for reading chairs because they are not always comfortable – but with the right cushion and or design, it should be one great option because every now and then we see better and beautiful chair designs. See the simple and large arm chair by that unique and interesting floor lamp? Well, doesn’t she just look lovely? 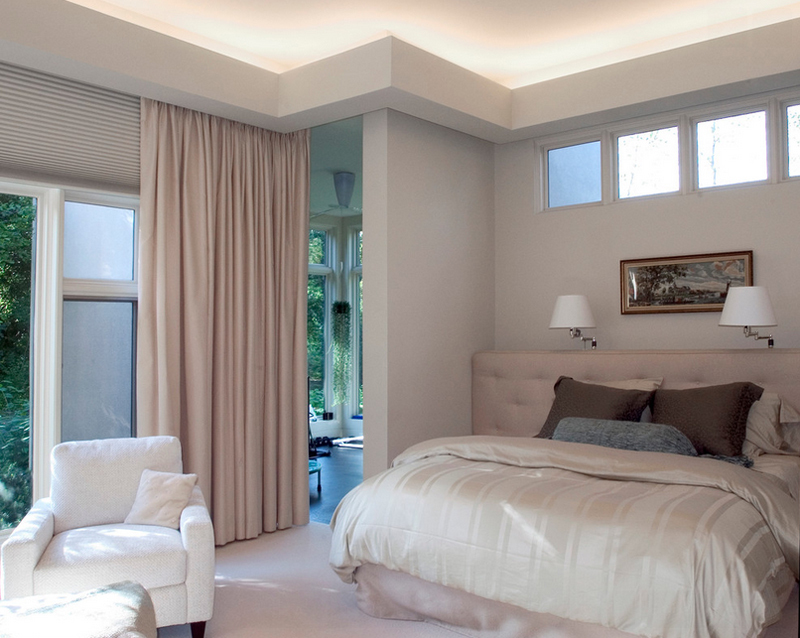 It is simple, yes, but it sure complements the design and color palette of the bedroom. This is one set up I would love to see in person; it is colorful, pretty and somehow interesting. I mean, I think it would be great if the colors are brighter but they are pretty as they are, of course, the color combination is just so interesting. Now this bedroom sure looks staged, not that it is quite not realistic or whatnot, but take a quick look and imagine this being a real bedroom and it looks so immaculate that I would hate to disarrange this entire space. Haha! That sure looks like one oversized chair! It somehow makes me think that I would really love to have one large chair like that one because it looks like someone can easily sleep in it when the bed seems to large or empty to sleep in it. Now this contemporary rocking chair would be a treat for any bedroom that needs a place to read, think and sort of rock their way to sleep. I don’t know about you, but there are times that I’d love to sit on a chair and sleep than in my own bed. This is one nifty bedroom! The colors are nice and simple, not too pale and too bright – an ideal place to sleep or rest and with windows like those, ventilation and lighting sure is not an issue; of course adding thick curtains would be great for those days with too much sun in the morning! Speaking of an oversized reading chair – look at this one! It sure is not only oversized but almost huge especially for people who are smaller than the average size of an adult; this chair sure makes comfort a word that you can easily feel even just by looking at it. I am not really familiar with the works of Wolfe Rizor Interiors but this one sure is fancy. 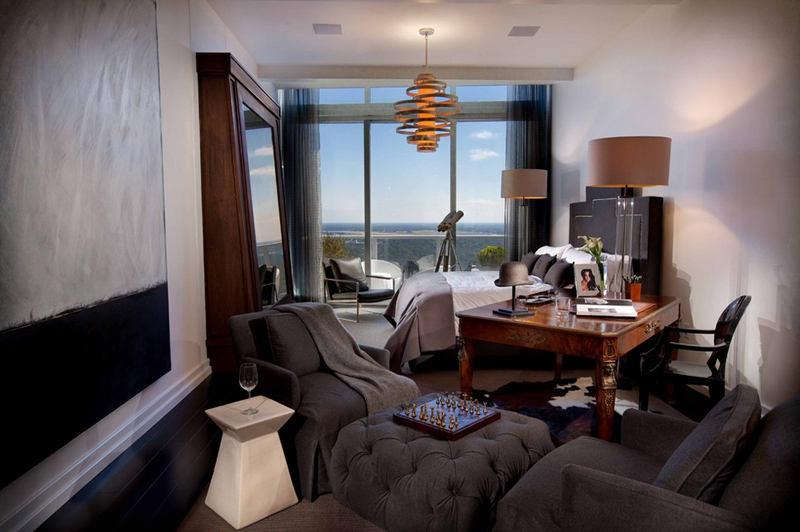 From the choice in fabric used for the majority of this bedroom to the lamps – they sure showcase great taste and fancy styling which surely will work great for those CEOs or executives having their spaces done. The color of the curtain and the head board sure is a nice move for the designer because if they used white for everything, well hello there, hospital institution! Haha! Kidding aside, we see that we have grey walls on this one and the color of the pillows used contrasts with all the neutrals in this bedroom. 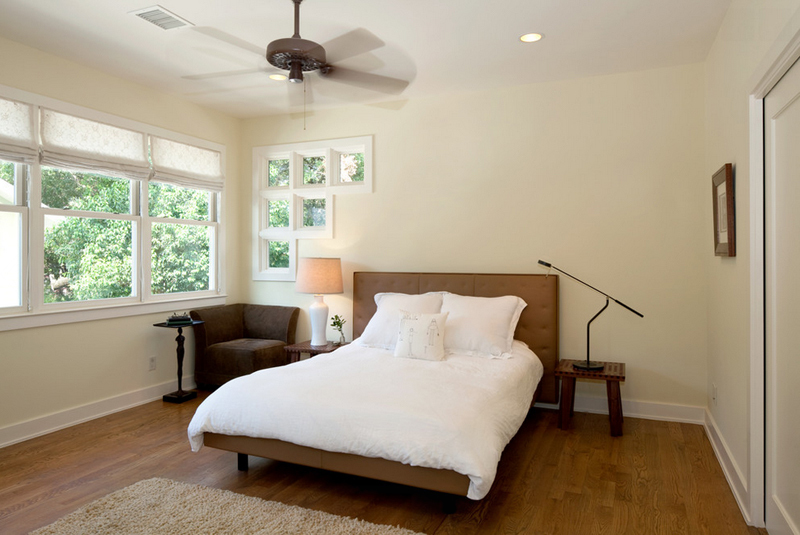 Not only is this bedroom minimalist – but simple too. 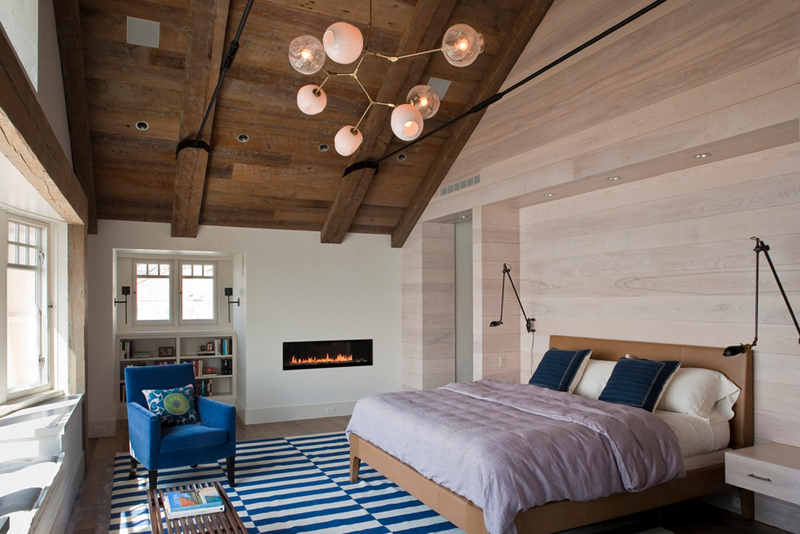 It’s not always that minimalist spaces are simple – but this one sure is; its simplicity is actually a great thing because looking at this bedroom, you know you have all that you need for a bedroom – a bed, lighting and ventilation. Pretty much enough I suppose. Now we see a white bedroom but with all the other colors in all its contents! The fun that you see and feel in this bedroom is pretty awesome because it shows you a whole lot of possibilities in just one space. I like that this is the last photo in this list, what about you? Here is another list that you can check out for more oversized reading chair inspiration, this is one of my favorite lists because other than the fact that I am fond of chair collections, the pictures in this list is something you can actually purchase in your closest malls or furniture shop.